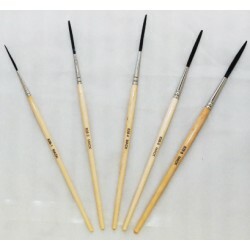 Outliner Brush Size 6 Series 838 Mack Brush Series 838 Size 6, Hair Length 1-9/16" The brush hair is Blue Squirrel and Black Ox Mixture, it has a Nickel Ferrule with a plain varnished wooden handle. 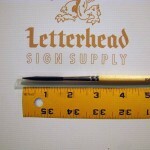 The hair in the Out-liner Brush series 838 is very strong, but will not hold as much paint as the Mack Series 839 Out-liner. 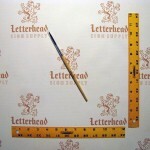 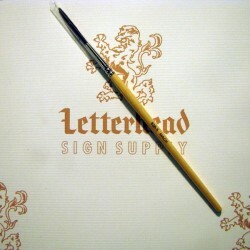 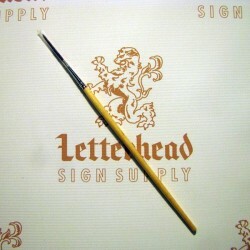 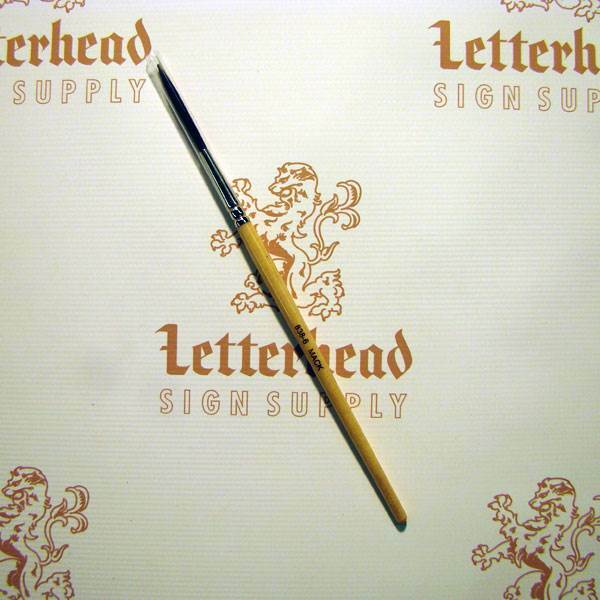 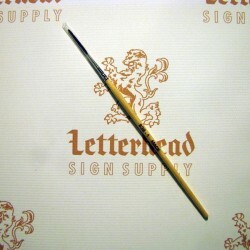 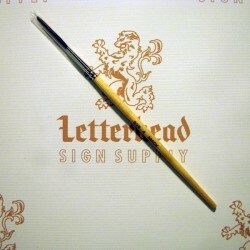 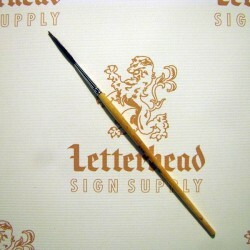 This outlining brush is great for outlining letters, for scroll work and applicable sign work. 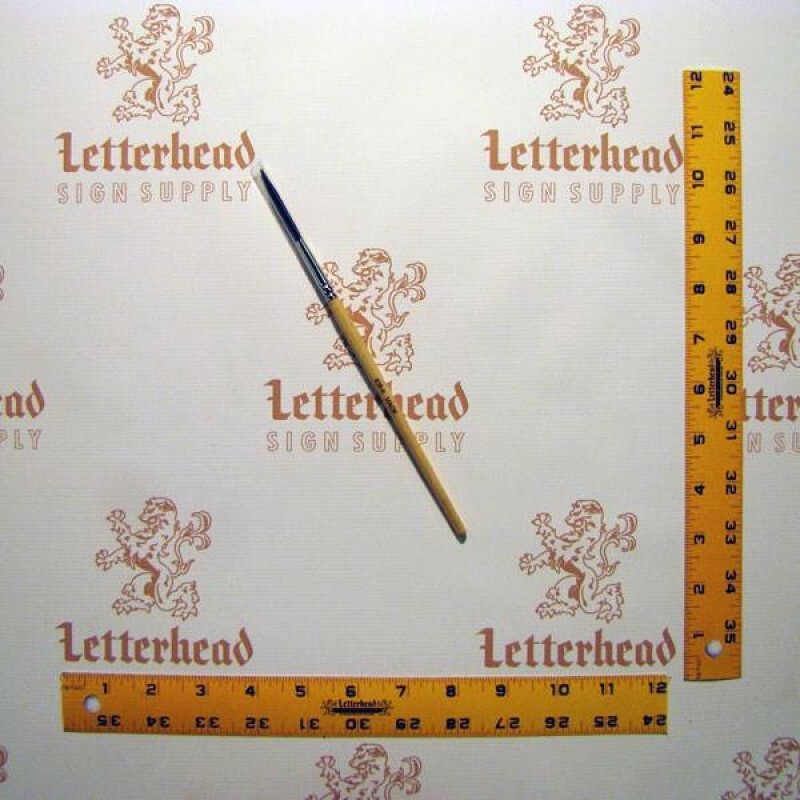 The Series 838 is suitable for most surfaces. 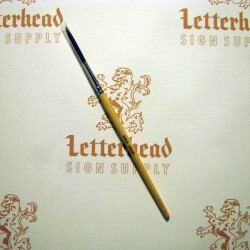 Andrew Mack Brush Co. Out-liner Brush Size 6 Series 838 Lettering and Pinstriping. 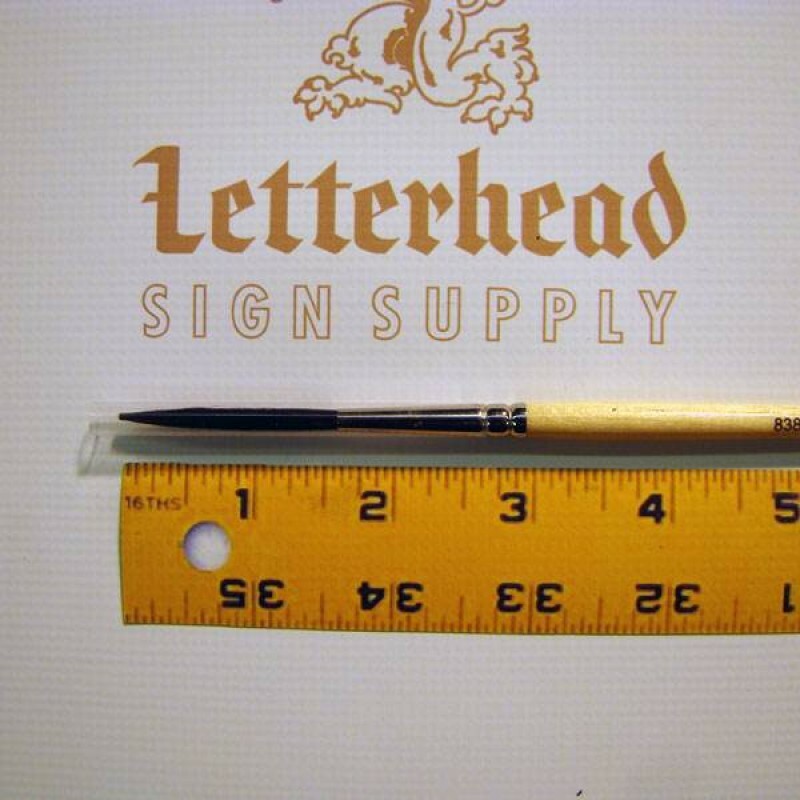 Outliner Brush Size 1 Series 838 Mack Brush Series 838 Size 1, Hair Length 1-1/16" The brush hair is Blue Squirrel and Black Ox Mixture, it has a Nic..
Outliner Brush Size 2 Series 838 Mack Brush Series 838 Size 2, Hair Length 1-1/8" The brush hair is Blue Squirrel and Black Ox Mixture, it has a Nick..
Outliner Brush Size 3 Series 838 Mack Brush Series 838 Size 3, Hair Length 1-1/4" The brush hair is Blue Squirrel and Black Ox Mixture, it has a Nick..
Outliner Brush Size 4 Series 838 Mack Brush Series 838 Size 4, Hair Length 1-3/8" The brush hair is Blue Squirrel and Black Ox Mixture, it has a Nick..
Outliner Brush Size 5 Series 838 by Mack Brush, Hair Length 1-1/2" The brush hair is Blue Squirrel and Black Ox Mixture, it has a Nickel Ferrule wi..
Outliner Brush Size 6 Series 838 Mack Brush Series 838 Size 6, Hair Length 1-9/16" The brush hair is Blue Squirrel and Black Ox Mixture, it has a Nic..
Mack brush outliner brush series 838 full set, sizes 1-6. The brush hair is blue squirrel and black ox mixture, it has a nickel ferrule with a p..